Playing in his final NBA game in front of his Banana Boat crew Wednesday night, Miami Heat guard Dwyane Wade went out like a true warrior. The future first-ballot Hall of Famer notched a triple-double against the Nets in the Mecca of the basketball world, New York City. 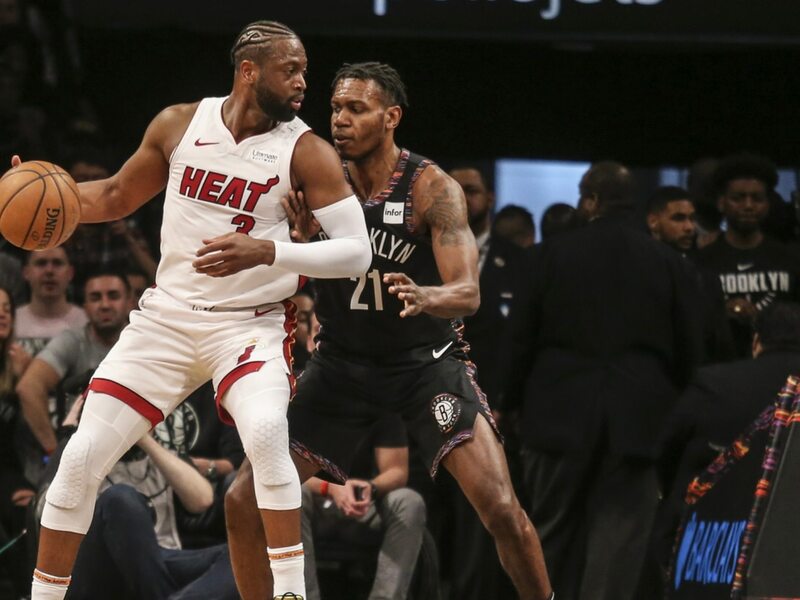 In an amazing turn of events, Wade’s 10th assist of the game went to longtime teammate Udonis Haslem — a player that’s also set to retire here soon. You just can’t make this up. Sure Wade would have preferred his final game taking place in the playoffs. But once the Heat were eliminated from playoff contention Tuesday night, this would seem to be the next best thing. The fact that Wade was able to accomplish this feat in front of best buds LeBron James, Carmelo Anthony and Chris Paul makes it even more special.